Triad’s Omni SE series was designed to provide the best possible full-range sound with the smallest footprint. With different configurations of the same model, there is an Omni SE for virtually any application; inceiling, inroom or inwall. 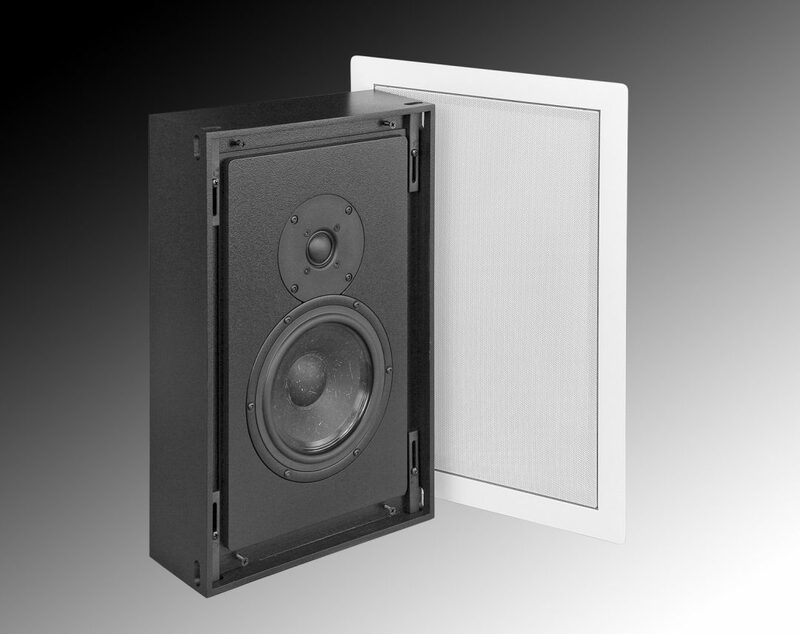 The InWall Gold/4 Omni SE is a premium inwall speaker featuring a fully engineered, sealed, and braced enclosure for uniform results and no annoying bleeding of sound into adjacent rooms. The SE version features exceptional drivers and crossovers for articulate, extended bass, crystal-clear treble, and good sensitivity and power handling. You can also order your Omni SEs with the Acoustiperf grill and frame color matched to the sample you provide, for seamless integration into your decor. 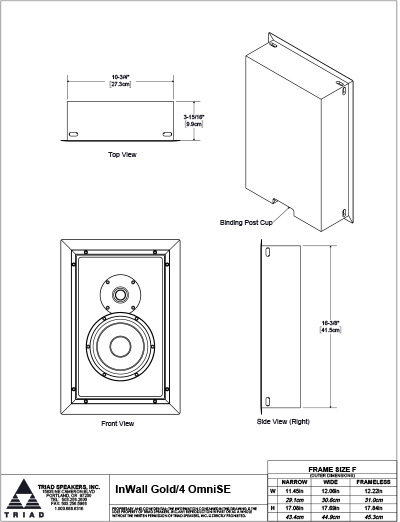 This feature is possible because Triad speakers are built-to-order in America. When you want the best sound and the least visual impact in a smaller venue, choose the InWall Gold/4 Omni SE.